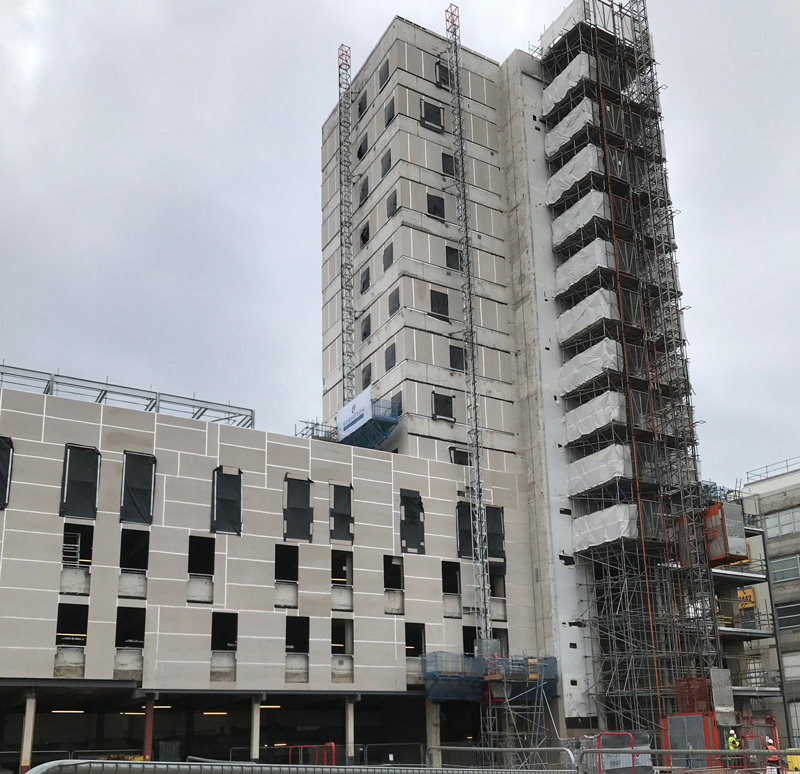 Hilton’s first Hampton property in Leeds, scheduled to open in 2019. 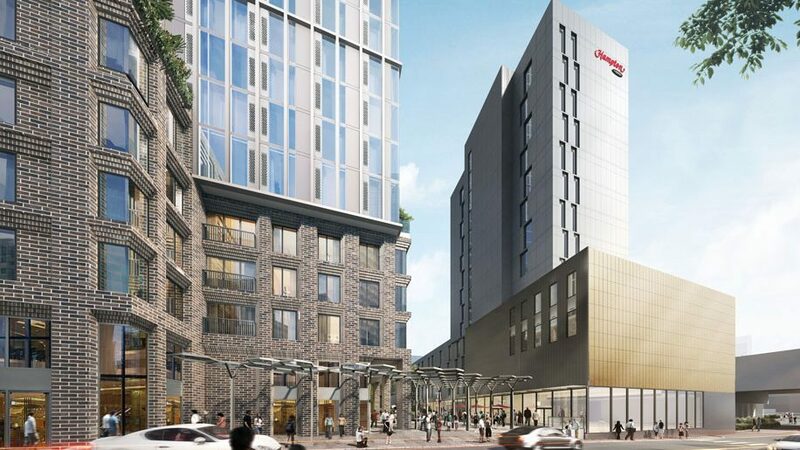 The 14-storey, 192-room Hampton by Hilton Leeds City Centre will form part of the regeneration of the city’s Bridge Street site, which was formerly home to British Gas. 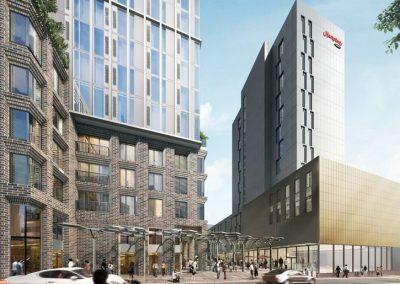 The hotel will be the third Hilton property in Leeds, joining the existing Hilton Leeds City, and the Doubletree by Hilton Leeds City Centre. There are currently 18 Hampton properties in the UK, with a further 22 in the pipeline. Kemwell Fire International Limited is delighted to be part of this prestigious project with 5000 sq. m of 12mm WeatherKem being installed by Tasker Contractors. WeatherKem is an A1 non-combustible weather-proof building board for interior and exterior applications. It combines weather, moisture and fire resistance properties with high impact strength and sound insulation. 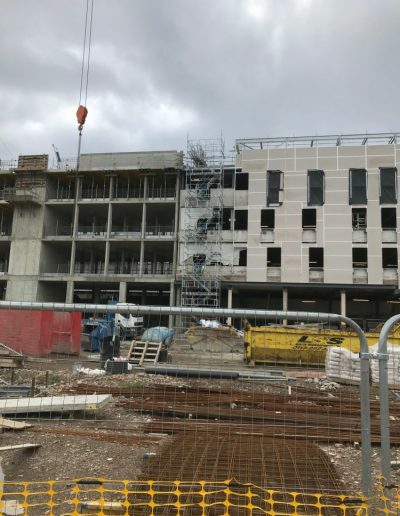 It is primarily used as an external sheathing board on both metal and timber structures of all types of façade solutions and is particularly suited for hotels. 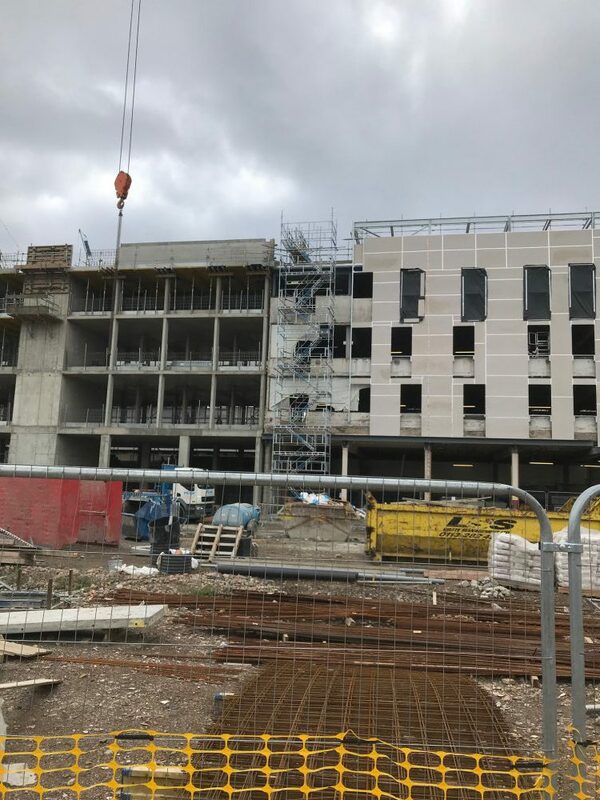 WeatherKem Fibre Cement Board is designed specifically to meet the complex and stringent requirements of the building and construction industry, providing architects, developers, and contractors with adaptability and performance benefits to enable safe and innovative designs to be easily realised. Weather Proof non-combustible Fibre Cement Board for exterior and interior cladding or lining applications. Do you have a current fibre cement board project? 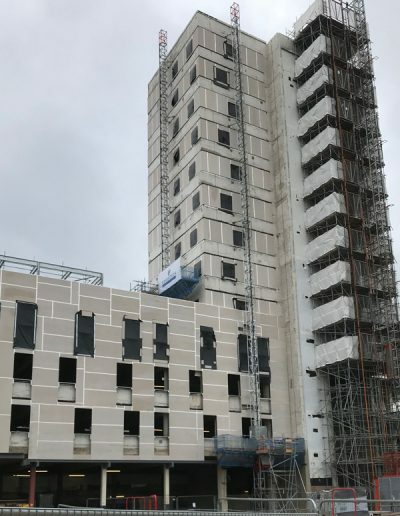 Kemwell’s technical support, along with the easy to use and certified WeatherKem product was essential during the building envelope construction of the hotel.